We provide services to private home owners, architects, building conservation specialists, surveyors and heritage professionals. We work across Wiltshire and neighbouring counties. For planning applications and listed building consent, we produce heritage statements, appraisals and statements of significance. If you are making a structural change, a report can help you decide how to work with your historical features. If you are a private home owner interested in discovering the age and history of your house, we can provide an historical building study. Your illustrated report will explain how the house has evolved and a plan will show phases of alteration. You will learn something of the historical context of the building and the site around it, how the building was used and where possible, about former occupants. 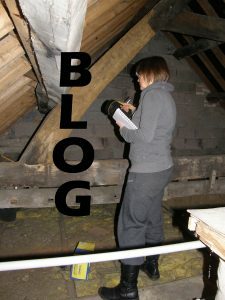 Investigating buildings since 1979, we are able to draw on our extensive archives to provide a detailed insight. We have built up a unique database of roof & construction types, plans and datable features. 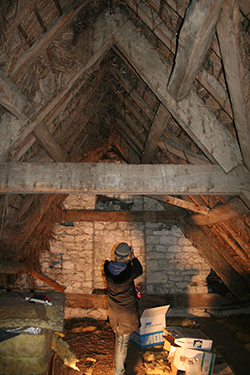 This resource, along with experience of examining many different buildings, helps in analysis and interpretation of the evidence. Produced to requirements, your report will be illustrated with photos. Special consideration will be given to age, construction and phases of alteration. Typically it will contain a detailed exterior and interior architectural description, drawing attention to historic features such as doors, windows, beams, fireplaces, fittings and roof space. It may include historic maps, plans, sketches or drawings and a description of the history. To study a building, we make a site visit which may take a few hours to a day or more, depending on complexity. We take notes and photos, and often make measured plans and drawings. Archival research is carried out at the Wiltshire and Swindon History Centre. (Out of county research is possible but may involve a modest additional fee.) 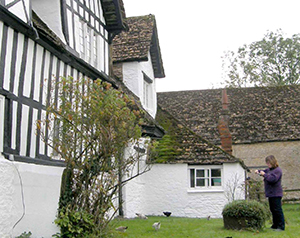 Surveys and reports are conducted in accordance with Historic England Recording Standards. Copies are normally placed in our archive. 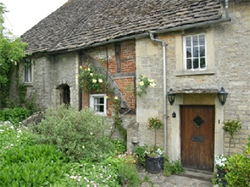 Reports are to professional standards recognised by the Heritage Sector. Fees are extremely competitive and tailored to requirements. Please contact us for a quote. Terms require full payment prior to the provision of the report. 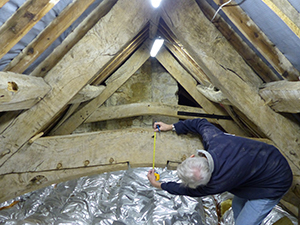 We are specialist buildings archaeologists and architectural historians who carry out historic buildings surveys and documentary research. As such our work complements the activities of chartered surveyors, architects and structural engineers. We give talks to organisations and the public. We provide volunteering opportunities. We are open to the public, and material from our archive is available to view. We hold an annual Study Day, and periodically arrange other events.